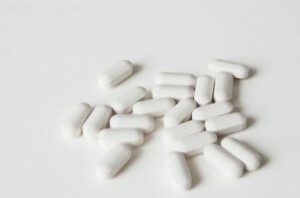 With the Tylenol recall in full swing, now is the time to jump aboard the all-natural bandwagon. If you’ve ever thought, hinted at, or seriously considered adopting the all-natural way to live and treat conditions, no time is as good as now. I know that sounds trite and tired, but I say that not because it’s a good motto to live by, but because the circumstances are ripe for it. Because if you haven’t already heard, there’s a huge recall on over-the-counter pills like Tylenol, Motrin, St. Joseph’s Aspirin, Benadryl, even Rolaids. According to multiple reports filed by the U.S. Food and Drug Administration, pills and antacids like these have caused dozens and dozens of adverse reactions all across the country, including nausea, diarrhea, vomiting and severe stomach pain. McNeil, the maker of these medicines, believe they know the source of what’s causing these adverse reactions: A disgusting wood pallet that the medicines were shipped on leaked a chemical. Whatever the chemical was, it had a distinct and offensive odor. Now, we all make mistakes, so we shouldn’t cast aspersions too quickly. But what makes this instance so outrageous is that McNeil had this same problem two years ago—the very same one! So you’d think that McNeil would take the appropriate measures in ridding their facilities of the offending wood pallets that leak this mysterious chemical. No such luck, as it happens. You can bet that heads will be rolling at McNeil as someone clearly dropped the ball on this one. McNeil has gone ahead and posted all of the offending products on their web site, complete with the box labeling, product description and UPC codes. You’d be wise to take a look to make sure you don’t have any of these products lying around your house or lurking in your medicine cabinet. In the meantime, why not use this incident as a springboard to start taking natural herbs that can treat headache, natural supplements that can help ease the pain of arthritis, and natural elixirs that relieve allergies? They work, and what’s more, they’re guaranteed not to cause any adverse side effects: one of the many hallmarks to all natural living and supplementing. Posted: January 18th, 2010 under FDA. Nice of you to use this news to push the whole herbal thing but in reality the Herbs could very well be shipped on one of these tainted pallets just as easily. Saying “mysterious chemical” seems to suggest that they don’t know what it is, and if they don’t know what it is then they can’t test for it, so in the end this could happen to any company; drug, herbal or otherwise. I’m not so sure I buy the tainted pallet story anyway. Are you telling my that this mystery chemical leeched out of a pallet through the shrink wrap that they wrap the drugs in, then through the box, then through the plastic bottle? Sounds like an amazing chemical !